Denim jeans are perhaps one of the most important and iconic pieces of clothing of all time. They are durable, easy to wear, and can be worn repeatedly. Even better is that their fading patterns can be different depending on how you wear them. Patchwork rugs are a great way to bring together scraps of fabric and cloth lying around in the house that you don’t exactly need or wear anymore (because of their poor condition), but don’t want to simply throw away either. Denim is actually good for this purpose, as it’s sturdy enough to serve as the throw rug’s main body without wearing down too quickly. Simply sew the cloth scraps together until they form amain body and proceed to fill in the edges with any kind or pattern of cloth orfabric that you find lying around. 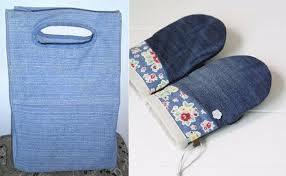 You can even alternate them to form acheckered pattern between denim and other types of colored fabric. This one is fairly simple: by cutting out the seams of your jeans into their own thin strips and rolling them, you can instantly make a cloth coaster that helps to keep hot drinks from being too hot on the table and cold drinks from wetting the table with their droplets. After cutting five squares of the following sizes (2- 3 1/2″, 1- 3″, 1- 2 3/4″, 1- 2 1/2″) from the denim jeans, cut out four-petal flower shapes from the squares and sew along the flower shapes’ edges to prevent them from fraying. Stack them together from biggest to smallest. As youdo this, make sure the petals don’t intersect each other. Once done, sew alarge bead of your choosing in the middle and about seven to eight smallerbeads around it (preferably of a similar color or color palette). Securetightly before gluing a safety pin to the back. 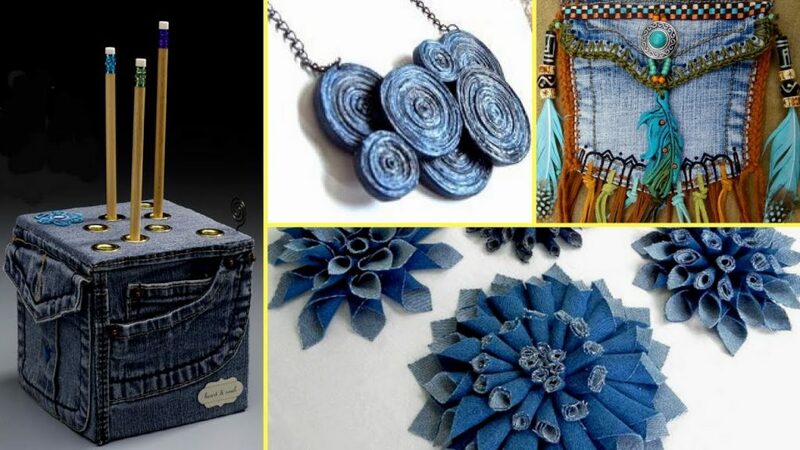 An alternative piece of home decor for Christmas day can be made simply by re-purposing an old pair of denim jeans that you don’t mind sacrificing for the cause. Cut your denim into various six- by two-inch strips and tie them to a wreath-wire form until the wire is completely covered. From there, you can proceed to spray-paint it green to match with the holidays or leave it blue. 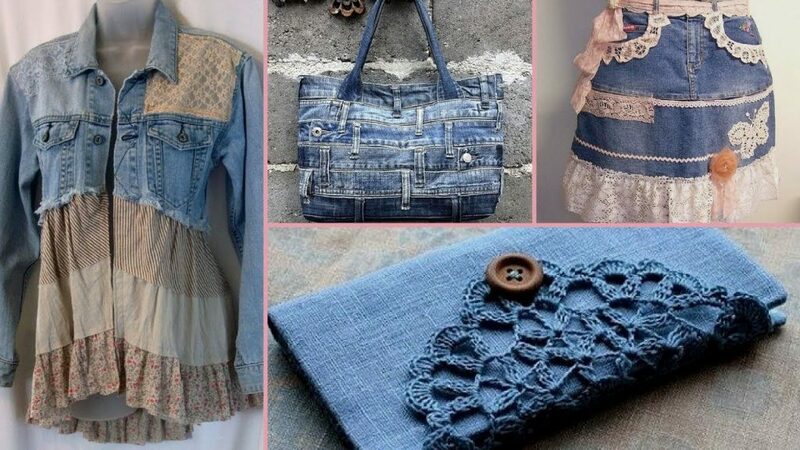 You also have the option of choosing what decoration you can pin to your denim wreath to match. 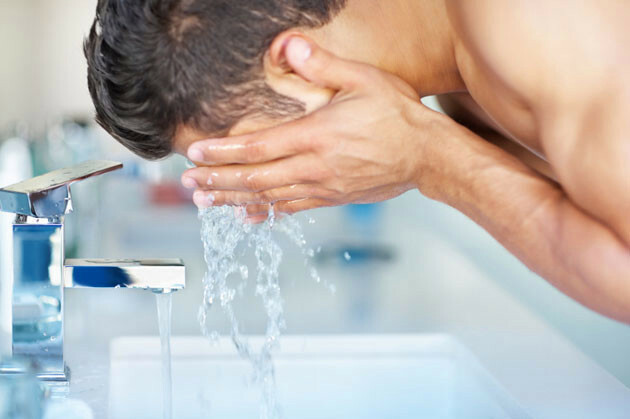 Skincare for men is, and should be, straightforward and easy, with no need for any complicated five-step peels or one layer of facial cream after another. With the help of natural, high-quality products and a proper routine, your facial and body skin will thank you when you look in the mirror to see a better complexioned you. 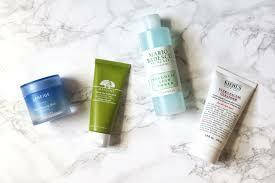 There are at least four skin types: normal, dry, oily, and a combination of either of the three. Normal (eudermic) skin is characterized by being overall well-balanced, neither dry nor oily; dry skin lacks the necessary lipids to lock moisture in; and oily skin is a skin type that produces too much sebum. While the skin type that you have is determined bygenetics (you can’t help if you have naturally dry or oily skin, or perhapseven both), knowing what skin type you have will help you make the right choiceon what facial products you should use. A splash of cold water after waking up and before going to sleep does more than simply making you feel refreshed every day. Regular cleansing washes away dead skin cells that make your face appear duller than what it can or should be, and some glycolic acid to go along with that regular facial wash can work wonders for your skin. Using moisturizer should be an automatic steppost-cleanse, as this helps seal in moisture (excellent for dry skin thatdesperately needs it). For those with skin that’s oily or prone to breakouts,using specific water-based moisturizers may be a better alternative to yourstandard oil-based ones. Skin care doesn’t just end on the outside – it also comes from the inside, which is what drinking six to eight glasses of water a day can do for your skin. Minimizing your alcohol and coffee intake can help you as well, as these substances tend to take out water from your skin and leave you more dehydrated. Skimping out on the recommended seven to eight hours of sleep can have some negative effects on your body both in the short and long term. However, these effects are also visible on your skin – not only will you have more wrinkles and more pronounced eye bags, but your skin will also be more prone to breakouts and fine lines. This is the result of your body using up its internal energy storage in order to keep functioning during its waking moments, which can only be alleviated with a consistent sleep schedule instead of sleeping in for the whole weekend.